Used by the top players. 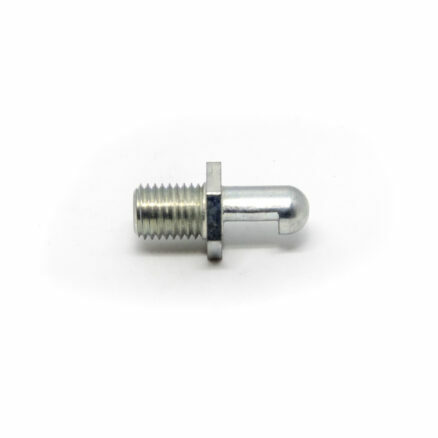 We offer Temporary Mounting services to properly install the screws based on a standard center of balance. If you select this option, make sure you choose a boot to go with your new frames! Special order only. Call for delivery ETA. -Ultra light plate made of special aluminum alloy and trucks with titanium axles. 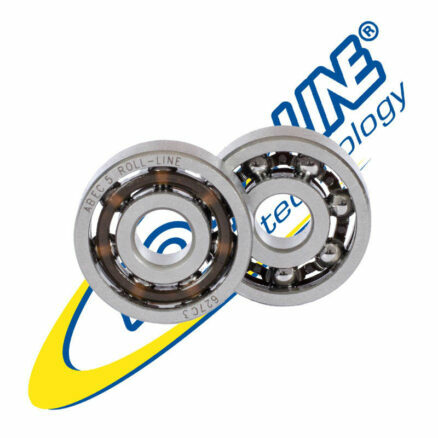 -Differently angled trucks: The greater inclination of the front axle allows the skater to enter turns more easily and with less pressure. -The lower inclination of the back axle improves stability and centering during turns. -Redesigned suspensions in elastomer with a double stage compression, (1 spare set included). -Toe stops: Ambra super professional. The Roll-Line Killer Titanium Professional Roller Derby Skate Frames are an unprecedented collaboration between top Derby athletes, technical specialists from around the world, and sports Biomechanists from the University at Bologna to produce this Revolutionary NEW Design in a Skate with two (2) different Angled Truck Systems on each Skate. The Roll-Line Killer Titanium Professional DUAL ACTION Roller Derby Skate Frame is a highly technical Skate Frame, with Cross Braced Box Truss engineering for excellent Structural rigidity and is the Lightest and Strongest Skate Frame in the World. The Front Trucks are the Standard (approximate 20 degree) Action for that incredible sensitivity and control for easy edging, that the Matrix is known for. The Rear Trucks are at a special (approximate) 12 degree angle that allows the truck to Rock but inhibits the Rotational movement. This translates to incredible stability for those tough hits, along with super control and very fast action. 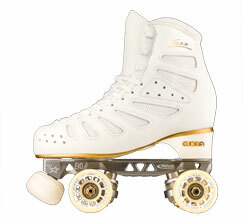 This Skate is specifically designed for high level Roller Derby Skaters and represents a revolutionary turning point in Skate and Skating Technology. The Roll-Line Killer Titanium Professional DUAL ACTION Roller Derby Skate Frames are available now from SkatesUS.com and has a reduced height from the skating surface which gives a lower Center of Gravity that guarantees the ultimate in Maneuverability and absolute incredible Stability, even at high speeds. There are two colors available Silver (like an anodized surface) and Black anodized. 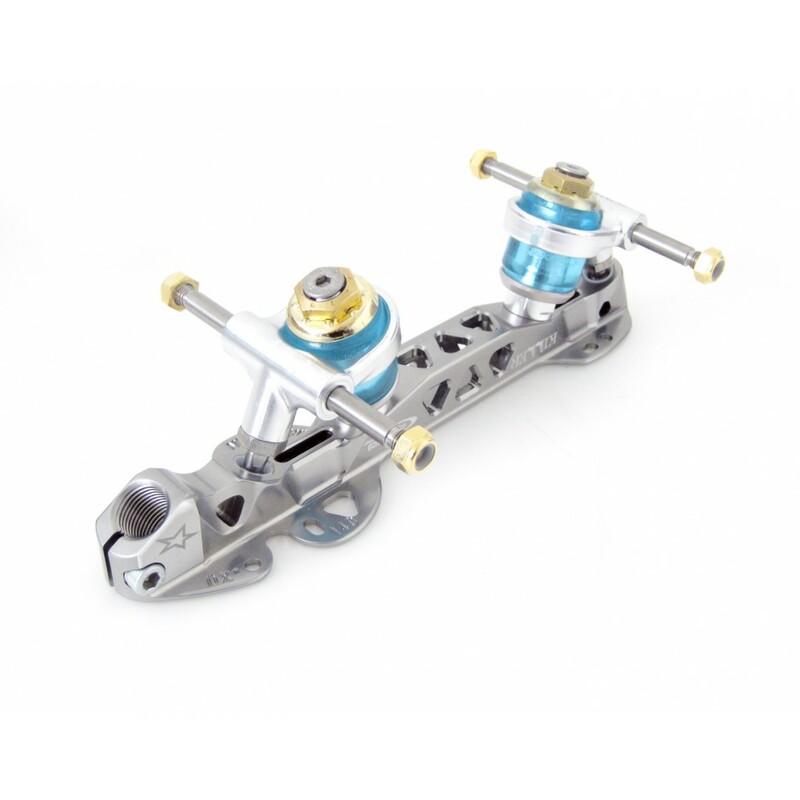 The Roll-Line Killer Titanium Professional DUAL ACTION Roller Derby Skate Frame is forged from a solid bar of Ergal Aluminum Alloy and Titanium components and is completely CNC machined. Ergal is one of the Strongest and Lightest Aluminum Alloys available and has a lower expansion coefficient and offers the best coiled-spring response. The Roll-Line modified reduced height 07 Trucks with Click Action adjustment system provides optimum, accurate, and consistent Action adjustments using the new 07 series, 13mm base King Pins with Adjustment Click-Nuts and Locking Screws. 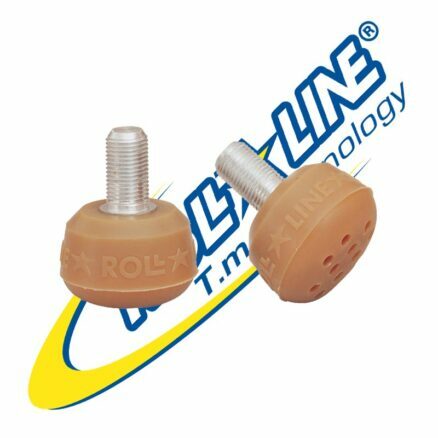 This major innovation is what makes the Roll-Line Killer a great choice for Roller Derby and also for high speed Rhythm Skating. The Roll-Line Killer features the strongest and lightest Titanium Alloy Axles (7mm Only) in the trucks available. The design and materials of Roll-Line Skates from SkatesUS.com, provides all athletes the proper support of the skating shoe and give the most sensitive control, the greatest and absolute fastest response available from any skate, providing a sense of great stability and action. 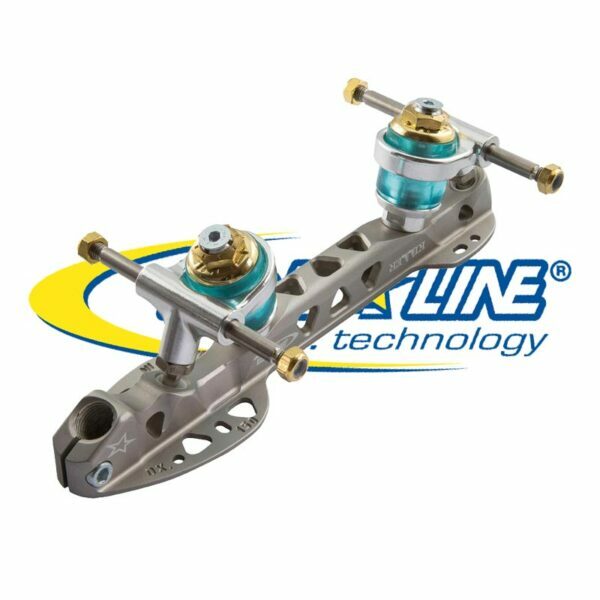 The Roll-Line Urethane Suspensions are available in five hardnesses to provide the perfect skate alignment. The Upper (Large) Suspension provides the Stability of the Edge, while the Lower (Small) Suspension creates the Deep Edges, Great Turns and Spins. The Suspensions can be mixed and matched to provide a VERY Custom skate Action. Usually the Upper (Large) Suspension is harder, because it is carrying the weight of the Skater, and provides the edge stability, while the Lower (Small) Suspension is one or (more infrequently) two levels more flexible, providing great edges and changes. Sometimes for FreeStyle Skating, the lower cushion is one level stiffer to support the stability of landing major jumps. 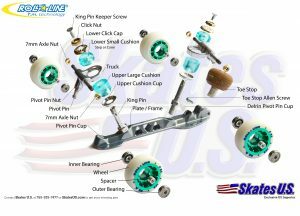 For the Roll-Line Killer, due to the Lower Center of Gravity and shorter King Pin, requires the use of Suspensions that are 1 level hardness, more flexible than used on most other Roll-Line Skates. The Clear Yellow, EXTRA Hard Suspensions ARE NOT Available. 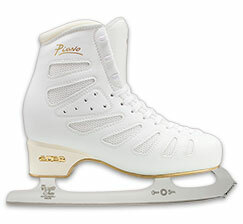 Most Skaters use the three more flexible Suspensions as needed. 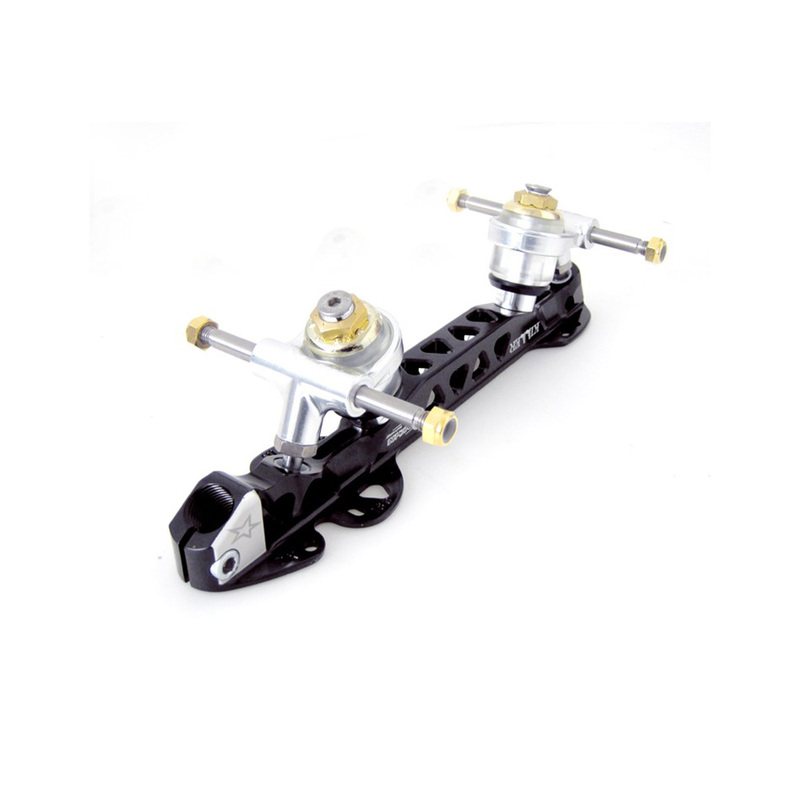 The Roll-Line Killer Titanium Professional DUAL ACTION Roller Derby Skate Frame is provided with the Super Professional (Natural) Toe Stops (Metric) and an extra set of Urethane Suspensions, along with the Professional Tool Kit.